America loves Notre Dame. While some may take issue with that statement, it cannot be argued after what happened just before the Cotton Bowl on Saturday. 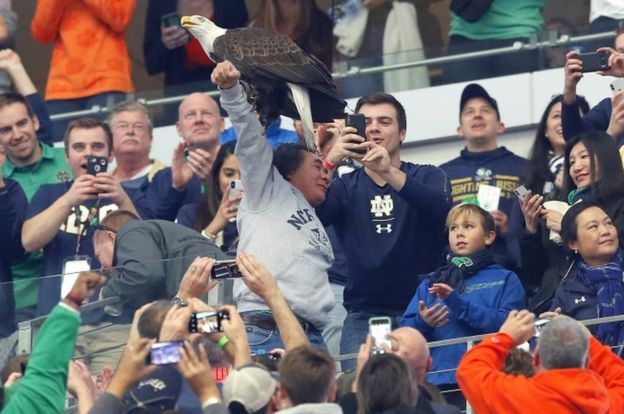 During the national anthem, a bald eagle got loose and started landing on Notre Dame fans. 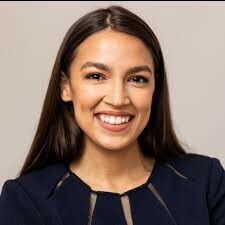 This wasn’t any bald eagle. This was a trained eagle named Clark who was responsible for flying around the stadium during the anthem before returning to his handler on the field. That did not happen. During the anthem, the eagle decided to go rogue by landing on two Notre Dame fans in the stands. He's lucky he has his arm without puncture wounds. I ran and ducked when my parakeet tried to land on me! Seems like the bird became disoriented. 1. He's lucky he has his arm without puncture wounds. 2. I ran and ducked when my parakeet tried to land on me! I used to volunteer at a wildlife rehab centre here in Canada. Our director had a Great Horned Owl attach itself to her forearm. The only way they finally got the owl to let go was to pour a bucket of cold water over it and the director spent 3 days in the hospital. She said the pain was excruciating. I transported some young eagles whose nesting tree was blown down in a storm. They were only the size of chickens but were already seriously strong. To carry them into the centre safely (for them and us), it took 4 of of us - 1 to secure the body and wings, 1 to control the head and one to control each leg. It's a good thing this eagle's training was thorough and everyone had the good sense not to freak out. I'm sure it's a spectacular sight but the possible danger to bird and humans makes it pretty questionable to me. 4. Seems like the bird became disoriented. Maybe they practiced in an empty stadium, but in a full stadium with people and noise, the aesthetics would have changed for the eagle.